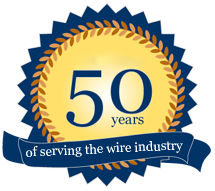 AMCO was founded in late Sixties to meet the growing needs of Modern Wire Industry. Within a short span of time the company has achieved the singular distinction of being among the first to develop high technology to suit third world conditions and economy. AMCO’s stature as the trend setter in wire technology has now become legend and instances legion. An array of sophisticated wire plants installed all around the globe. Today AMCO’s established credo of staying ahead in wire technology has reached a sophisticated level of expression. It produces machines for the production of all sorts of wire in all dimensions for all materials capable to be drawn. Yet the task remains unfinished. New technical advancement is being pioneered in its R& D Center that will herald in machines of tomorrow.